If you are looking for a career in the science and technology sector, software engineering is an exciting choice. According to CareerCast’s 2016 Jobs Rated Report of the top 200 jobs in the U.S., software engineering snags the number seven spot. It is listed as a profession with a high probability of growth, a pleasant working environment, and above average pay scale. What Exactly Does a Software Engineer Do? Software engineers must have strong coding skills, but often they are more involved with developing algorithms and analyzing and solving programming problems than with writing code. They are involved with the design and development of all types of software. By definition, software engineers apply engineering principles to the creation of software. This emphasis on the application of engineering concepts to the software development process is one of the factors that distinguishes software engineers from software developers. Expertise, accomplishment, and experience using open sources tools and projects. Proficiency in pattern design, automated testing, and fault-tolerance systems. Ability to create and maintain IT architecture, large scale data stores, and cloud-based systems. Ability to build scalable data pipelines and scalable domain specific languages. Marc Lowell Andreessen: Best known as coauthor of Mosaic, the first widely used Web browser; as co-founder of Netscape Communications Corporation; and as co-founder and general partner of Silicon Valley venture capital firm Andreessen Horowitz, Andreessen also serves on the board of directors of Facebook, eBay, and Hewlett-Packard. Eric Schmidt: Serving as Google’s CEO for a decade from 2001 through 2011, Schmidt has a long list of illustrious achievements as a software engineer at a variety of top-tier tech companies. He now serves as the executive chairman of Alphabet, Inc.
Tony Barr: Also known as Jim, Tony Barr is an American software engineer and inventor. Among his notable contributions are the Statistical Analysis System (SAS), automated lumber yield optimization, and the Automated Classification of Medical Entities (ACME). Linus Torvalds: This Finnish software engineer was the major force behind the development of the Linux kernel, which became the most popular kernel for operating systems. As if that accomplishment was not enough, he also created the revision control system Git. Sean Egan: A software engineer at Google, Egan worked on Google Talk and is now working on Google Maps. The youngest of the top five software engineers ranked, Egan is likely to continue to excel for some time to come. 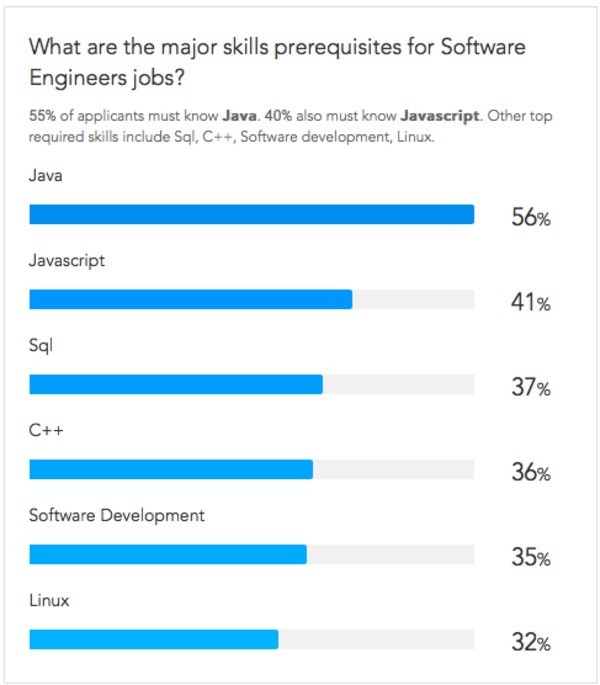 Qualifications for software engineers can be broken down into three major categories: education, skill set, and personality traits. Skill Set: While the skills in most demand vary from company to company, dependent upon company needs, there are some basic skills that all companies value in software engineers. Engineers must be able to code in multiple languages, understand design patterns and frameworks, have refactoring capabilities, and have a passion for code. Other notable schools for software engineers include: Brown University, Princeton University, and Duke University. Other companies on the lookout for top tech talent in software engineering are: Apple, Amazon, Lockheed Martin, eBay, and PayPal. Paysa gathers salary and demographic information for top tech talent. Below are some general salaries arranged according to job title for software engineers. For company-specific salaries by job title, check here. Based on 312,000 profiles, the average base salary for software engineers is $92,000 per year, ranging from $69,000 to $160,000. The average market salary is $139K per year. 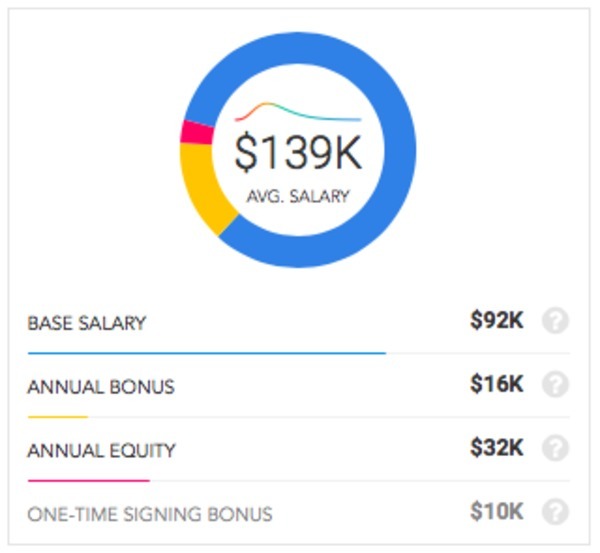 Average market salary includes $92K base salary, $16K annual bonus, $10K signing bonus and $32K annual equity. Top companies hiring talented software engineers are: Facebook, with an average market salary of $285K; Google, with an average market salary of $233K; Microsoft, with an average market salary of $222K; and Cisco Systems, with an average market salary of $159K. Average software engineer salaries, per Paysa data. Based on 10,000 profiles, the average market salary for software engineer 2 is $157,000 per year, ranging from $71K to $212K. 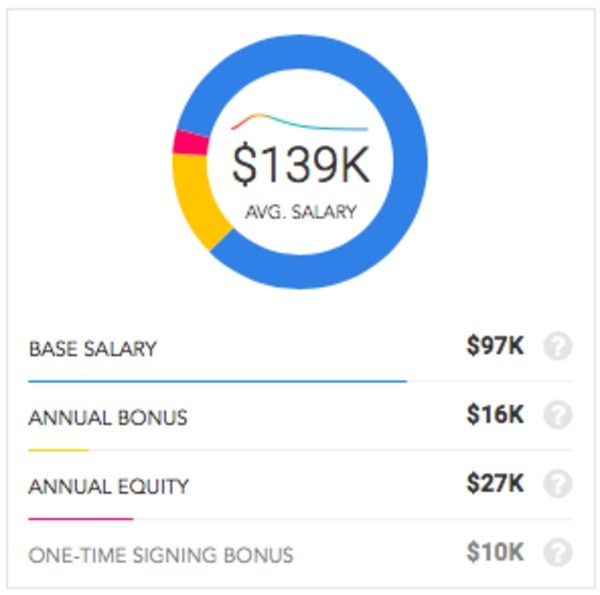 Average market salary includes $102K base salary, $21K annual bonus, $11K signing bonus and $34K annual equity. 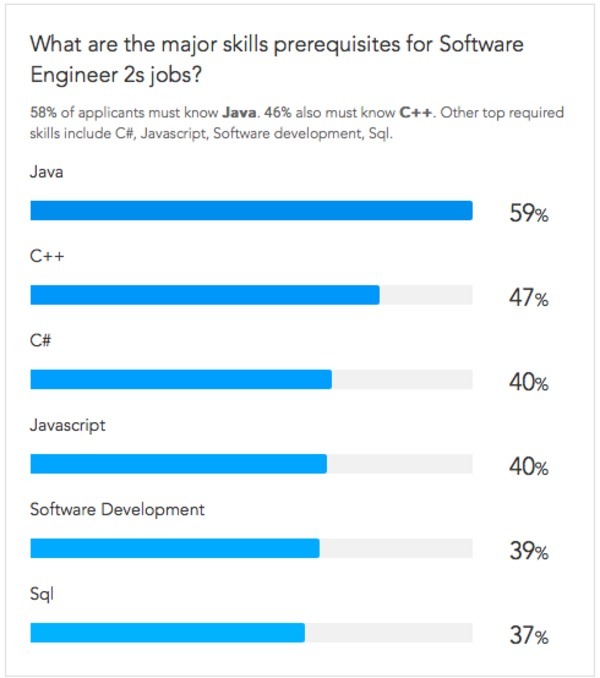 Top companies for software engineer 2s are: Microsoft, with an average marketing salary of $255k; EBay, with an average market salary of $174k; Intuit, with an average market salary of $156k; PayPal, with an average market salary of $156k; and EMC, with an average market salary of $137k. Average salaries for software engineer 2 position, per Paysa data. 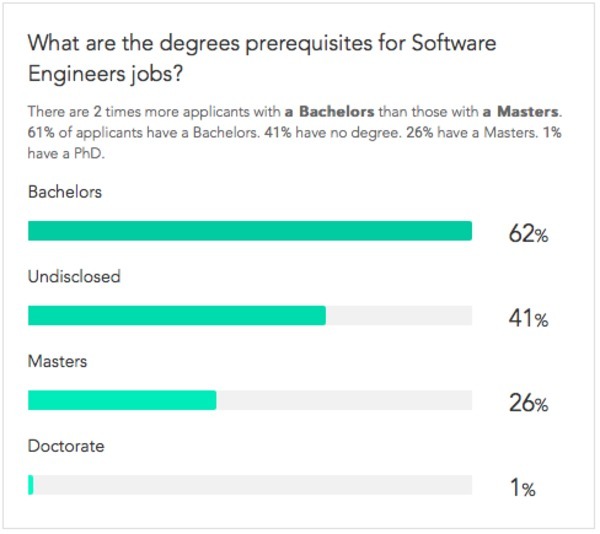 Based on 5,000 profiles, the average base salary for software engineer 3 is $97,000 per year, ranging from $69,000 to $126,000. The average market salary for software engineer 3 is $139K per year. 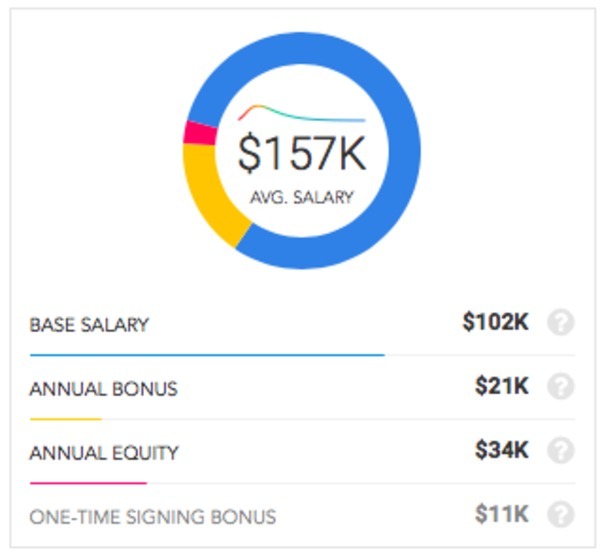 Average market salary includes $97K base salary, $16K annual bonus, $10K signing bonus and $27K annual equity. 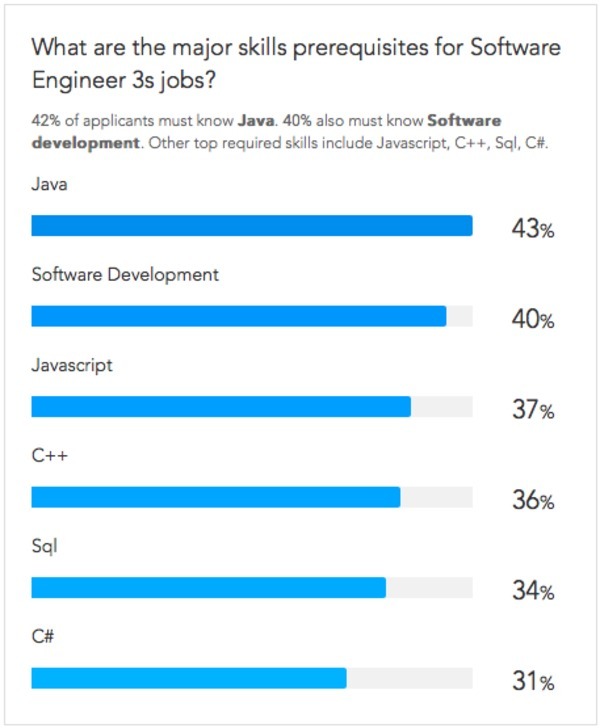 Top companies hiring software engineer 3s are: Microsoft, with an average market salary of $196K; eBay, with an average market salary of $186K; PayPal, with an average market salary of $173K; and Harris, with an average market salary of $150K. Average salary for software engineer 3 position, per Paysa data. Time to promotion varies among the top tech companies, but the average time to promotion between the different levels of software engineering is approximately 3.3 years per level. For instance, progressing at Google from Software Engineer 1 to Software Engineer 2 takes, on average, 3.4 years; from Level 2 to 3 takes, on average 3.3 years, and promotion from Level 3 upward takes 3.4 years on average. Software engineering is an exciting field that is projected to continue to grow in the coming years. The pay scale for software engineers is lucrative, and the opportunities for advancement are many. If you are considering a career in software engineering, let Paysa serve as a guide. Paysa can be personalized to give you job recommendations, skills recommendations, and compensation information that will help you negotiate a job offer or a raise in a job you have already. Take a moment now and sign up to personalize Paysa for you. Previous ArticleMicrosoft vs. Apple Salaries: Who Pays More?